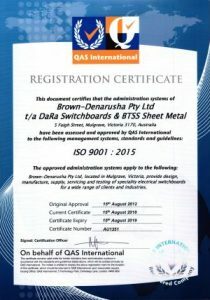 As one of the leading suppliers of standard and custom electrical switchboards for the Australian market for the last 7 years, we’ve a reputation for the quality of both our products and our commitment to providing all the information you could possibly need about our company, and the electrical switchboard industry. 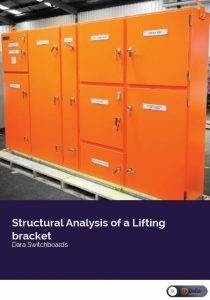 That’s why we’ve enabled you to download DaRa information from our site that covers everything from the thermal analysis of a switchboard to the structural analysis of a lifting bracket. 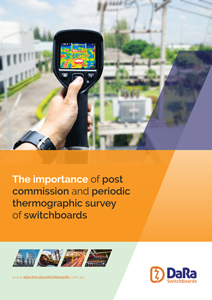 We believe that information is key to designing reliable and cost-effective switchboards, and we want to share all our information with you – our customers. 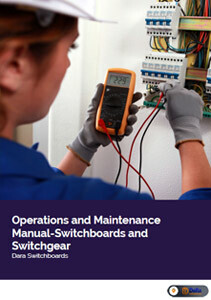 The DaRa Operations and Maintenance Manual for Switchboards and Switchgear document covers the procedures and recommendations for the maintenance of low voltage electrical switchboards and switchgear. 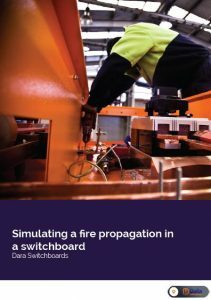 This document has been prepared in line with Australian standard for maintenance of electrical switchgear (AS/NZS 2467:2008), and gives a thorough overview of the routine maintenance of low voltage electrical switchboards to ensure continued safe and efficient operation without loss of supply to the installation. 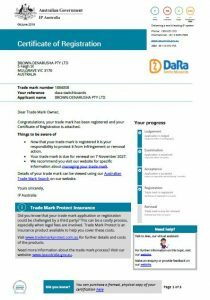 This includes everything from statutory requirements, instructions, notices and labels to first aid equipment and the importance of keeping good data and trend performance. 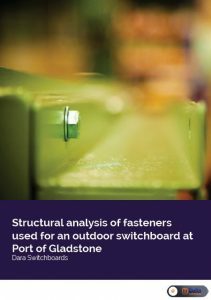 This document provides a structural analysis of fasteners used for an outdoor switchboard at the Port of Gladstone, and how the wind affects the fasteners. 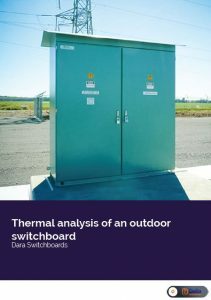 The structural analysis aimed to investigate the factor of safety bolts that are used to fix the switchboard to the plinth when exposed to maximum wind loads. 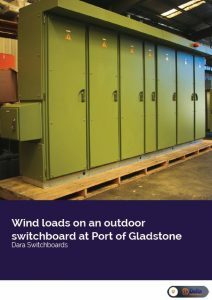 The conclusion of the survey showed that the switchboard and its bolts could withstand the maximum potential wind load generating in Port of Gladstone with minimum safety factor of 1.85 and bolts with a minimum safety factor of 2.29. To find out more about the fasteners at Gladstone, download the report here. Our download centre contains a variety of certification documents, information and surveys carried out by the specialist team at DaRa, and are invaluable for anyone who would like to know more about designing and manufacturing electrical switchboards. They’re also of particular importance to our yearly intake of interns, who’ll be able to see exactly how we stay a leading authority on switchboards in Australia. 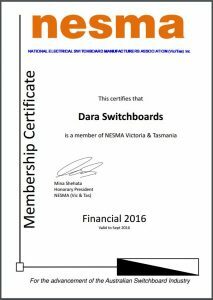 However, if you do require any further information about any of our surveys, switchboard design criteria or our products, please don’t hesitate to contact the sales and engineering team here at DaRa by calling 03 8544 3300, sending an email to info@dara-switchboards.com.au or completing our online contact form, and we’ll get back to you as soon as possible.